Browsing through the internet leads to unexpected surprises at times. 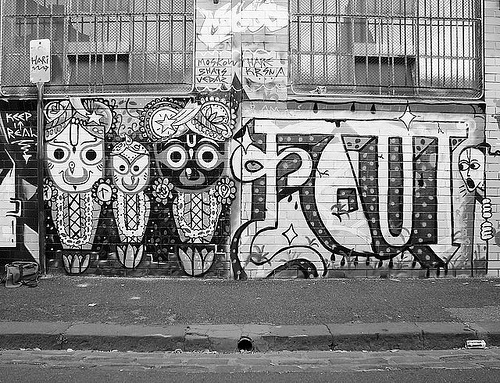 This time it was street art of Jagannath deities located off Johnston Street, Melbourne, Australia. Love it ! This entry was posted in Wonderings and tagged art, deities, Jagannath by Haridasi. Bookmark the permalink.